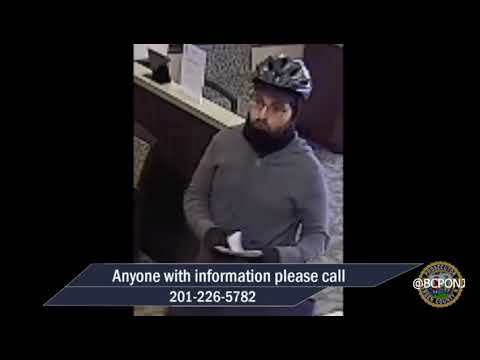 Thanks to a GPS tracking device hidden in a pack of cash, Hackensack police captured a 22-year-old city man moments after he robbed a TD Bank branch of $1,150 armed with a steak knife on Tuesday, authorities said. “Hey, gimme the money. Big bills only. It’s for my daughter,” police said Drew Hughes told a teller at the TD Bank on River Street at Atlantic Street just after noon. The teller then handed him $600, Capt. Peter Buscilgio said. Hughes "demanded more money, at which point the teller gave him an additional $468," Buscilgio said. "Hughes then turned his attention to the other teller, pointed the knife at him and demanded more money. "The teller handed over an additional $83." Hughes took off with the cash towards Main Street, Busciglio said, noting that a bundle also held a tracking device. Officer Frank Competiello Jr. broadcast the description to other responding units. Soon after, Detective Lt. James Prise saw Hughes get into a car with New York license plates, Busciglio said. Prise stopped the vehicle with help from Officer Pedro Dominguez, who used his police cruiser to box it in, the captain said. Narcotics detectives joined them at the scene and Hughes was taken into custody without incident. Police recovered the money from the vehicle, which was driven by a Lift service motorist who police "later determined to not be willingly involved in the robbery," Busciglio said. The driver later was released, he said. They also found the knife. Hughes was being held in the Bergen County Jail pending a first appearance Friday morning on charges of first-degree robbery and two weapons counts. The FBI was notified and deferred to Hackensack police as the lead agency. Busciglio thanked the bureau and the county sheriff's office for their involvement. "All responding officers and detectives should be commended for their immediate response which led to the capture of Hughes within minutes of the robbery," Hughes said. "Excellent work by all involved."